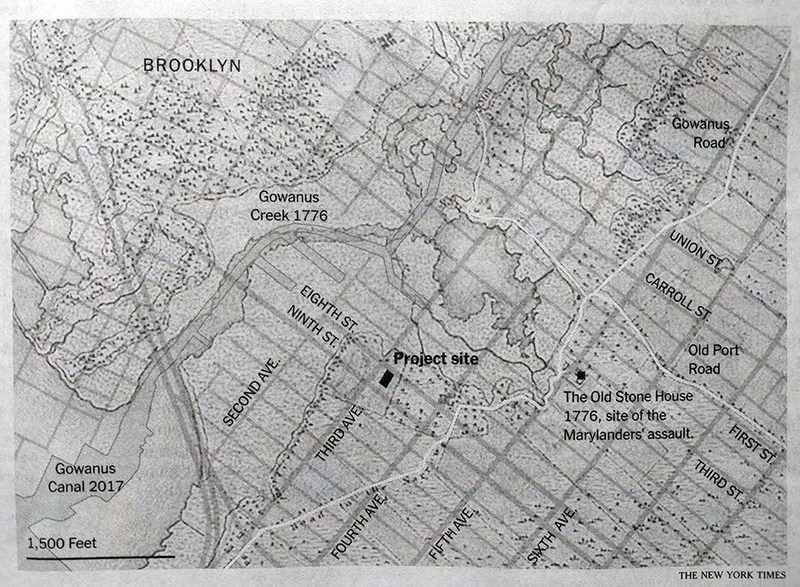 This past weekend I was reading an article in the New York Times about how a diary from the 19th century may indicate a plot in Gowanus Brooklyn destined for development may contain an old slave burial ground. You may recall how this author’s hobbies include genealogy and family history—how I would love to find a 19th century diary. Then, given this interest and the article, it was fantastic to find a map in the article. Suffice it to say the map held my fascination for long enough that I saved the paper to post about it today. I was curious about two things, however, one, did the graphic have a credited author—it did not in the print edition—and two, was there a neat interactive version in the online version? The online version is simply a colour version of the map. But the colour version does one thing that really helps make the graphic complete. In the print edition, there is no clear idea what the different layers are and it did take me a moment or two to understand the overlay. But the online version calls out specifically the map of the area from two different time periods. Maps like these are my favourite. They blend history and the present. After all the places we live have often been lived in for centuries and they bear the marks of that inhabitance. As to the first question, credit for the piece goes to Joe Burgess.